Get in on SC$500 popup freerolls at Global Poker Oct. 6 and check out the weekend schedule. The Eagle Cup II at Global Poker is off to a soaring start, crushing their guarantees. To celebrate, the site is offering players six popup freerolls with SC$500 worth of Eagle Cup tournament tickets up for grabs in each. All you have to do to get in on the action is be online Saturday, Oct. 6 between 11 a.m. ET and 7 p.m. ET and register when you see the freeroll appear in the Tournaments tab. The freerolls will pop up one hour before the start, so you'll have some time to register. See below for what's on the agenda this weekend, and you could be the next player to win big and collect an Eagle Cup trophy with you name on it! All players who finish first or second in Eagle Cup II championship events will also qualify into the Tournament of Champions after the series, where the winner will get a SC$5,000 live poker package. If you don't have an account yet, head to Global Poker today and sign up for free. 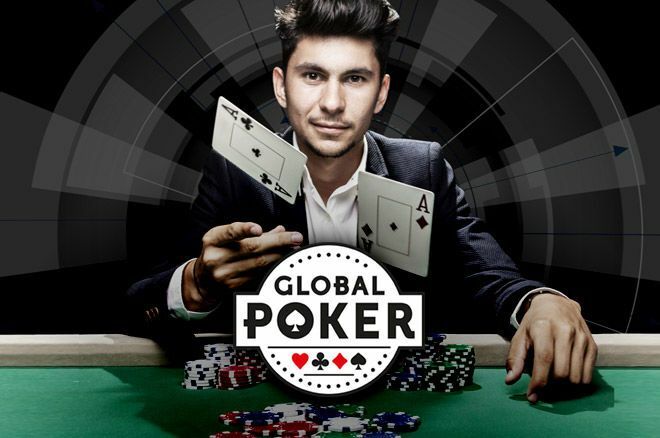 Global Poker is solely available for players in the U.S. and Canada.